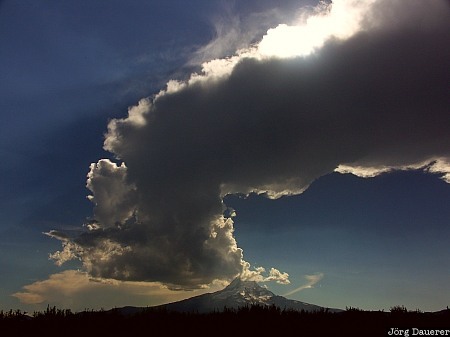 A spectacular back-lit cloud over the characteristic peak of Mount Hood. Mount Hood is in the Cascade Mountains in northern Oregon, United States. This photo was taken in the afternoon of a sunny day in September of 2004. This photo was taken with a digital camera.